Like gelato and spa days, high-quality beauty products are usually worth the splurge. Nevertheless, we’d be lying if we said we weren’t the first to peruse Black Friday beauty sales as soon as they hit the (often virtual) shelves. Below, we’ve compiled a sundry of hair, makeup, and skincare steals for the season. Bookmark your favorites and prepare to stock up (after you’ve put the last of the turkey in the tupperware, of course). Deal: Take 30 percent off sitewide. Promo Code: Use the code ABLE30 at checkout. Why it's worth it: This brand is on a mission to conquer tricky cateyes and banish mascara smudges. We love No Mess'Cara, which lengthens lashes and protects lids with a built-in shield. Deal: 30 percent off sitewide. 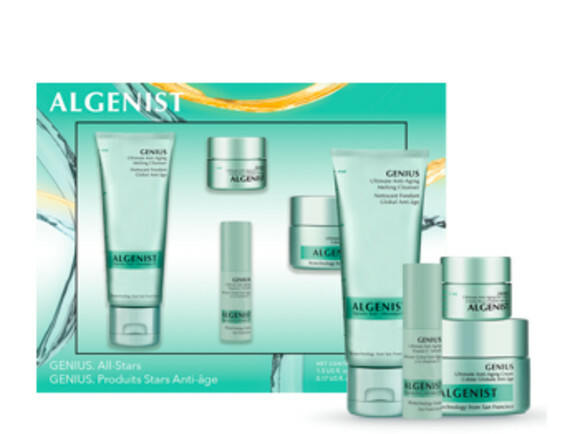 Why it’s worth it: Algenist is known for its proprietary hydrating algae-based ingredient, Alguronic Acid. Don’t miss the brand’s new ALIVE Prebiotic Balancing Mask (read our review here! ), which changes colors as you massage it in. Deal: 30 percent off sitewide and 10 percent off of kits. Promo Code: Use the code PINKFRIDAY at checkout. Why it’s worth it: The brand boasts three high-coverage concealers, which are sure to brighten tired-looking eyes. Deal: Buy one, get one free. Why it’s worth it: Winter is, arguably, the best time to shed dead skin on your feet (they’re hidden in closed-toe shoes!). This cult-classic foot peel delivers with satisfying results. Deal: 50 percent off accessories. Deal: 30 percent off hair products. Deal: S-Series Irons and storage pouch for $89 ($144 value). Why it’s worth it: The Beachwaver curling iron is ideal for people who struggle with conventional irons, thanks to its rotating barrel. 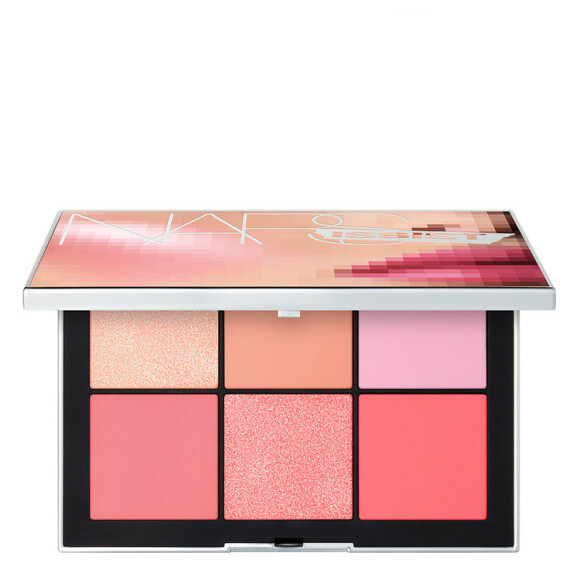 Why it's worth it: The brand is known for its glow-inducing highlighters, but its blushes are equally as flattering. Deal: Take 33 percent off sitewide. Why it’s worth it: The brand’s colorful packaging alone is enough for us to want the entire collection. Deal: Take 20 percent off sitewide. Deal: Spend $35+, get a free gift (above). Why it's worth it: These lipsticks deliver serious color payoff, without any chemical additives. We're lusting after this free gift with purchase, which includes a mirror, mini lip liner, lipstick, lip crayon, and stylish pouch. Deal: 5 products for $20. Why it’s worth it: This drugstore favorite European brand offers some seriously high quality products at a low price point. Don’t miss the Lip Cushion Glosses, which feel like a hug for dry lips. Promo code: Use the code BLACKFRIDAY at checkout. Why it's worth it: This brand is a favorite among dermatologists, and offers a bevy of targeted skincare products. 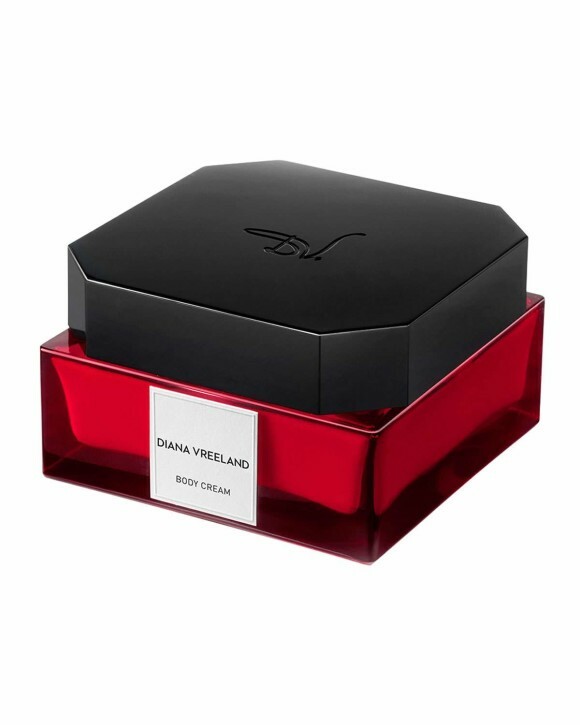 Deal: Buy any fragrance on the brand's website, get a free body cream ($125 value). Why it's worth it: In case you needed an excuse to slurge on a new signature fragrance, consider this free body cream your sign. Deal: Take 25 percent off sitewide. Promo code: Use the code 25OFF at checkout. Why it's worth it: Guiliana Rancic's new skincare line focuses on antiaging through simple, clean ingredients. Why it's worth it: The brand rarely has sales of this scale, so get in on the deals while you can. Plus, there are no exclusions. Deal: Take 25-40 percent off sitewide (excludes Glow Recipe Skincare). Why it's worth it: If you're a K-Beauty fan, you'll love Glow Recipe's curated selection of authentic Korean skincare brands. (If you've yet to try the trend, now is a great opportunity!). 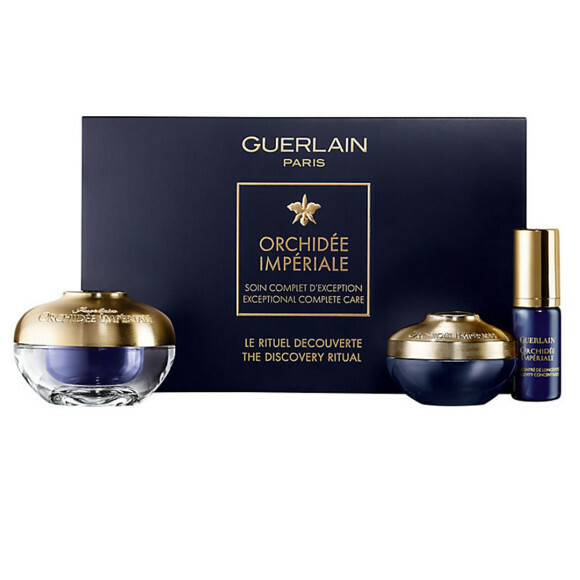 Deal: Orchidée Impériale Discovery Set, $89. Why it’s worth it: This is the first time Guerlain has participated in the Black Friday festivities — and we’re glad it’s happening. The hero ingredient, orchid, not only smells divine, but it’s also the crux of the brand’s proprietary skin rejuvenating technology. For context, the full size version of the face cream is $455; add that to the opulent packaging, and you’re sure to add a little luxury to your vanity. Deal: Take 20 percent off sitewide, plus get a free gift with purchase. 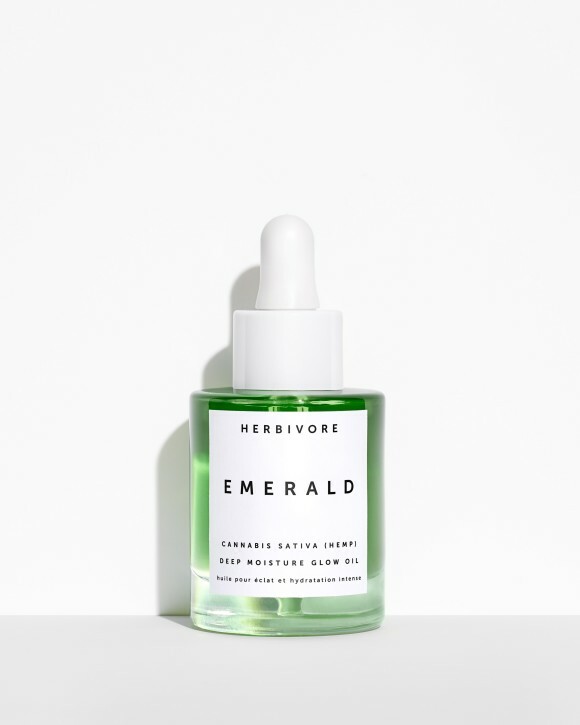 Why it's worth it: Don't miss the brand's new cannabis-inspired face oil, which relies on hemp oil to nourish skin (and looks beautiful, too). Deal: Save $30 on the HiMirror. Promo Code: Enter code OFF30 at checkout. Why it's worth it: This smart mirror can analyze your skincare habits, play your favorite tunes, and mimic different lighting settings. Why it’s worth it: Peptides are one of the most time-honored anti-aging ingredients — and the hero ingredient in all of this brand's products. Deal: 25 percent off sitewide. Why it’s worth it: Dry winter hair hardly stands a chance against the deep conditioners this brand offers. Deal: 20 percent off sitewide. Promo code: Enter the code ITFRIDAY at checkout. Why it's worth it: Don't miss the brand's cleansing balm, which dissolves makeup and softens skin in one fell swoop. Deal: 20 percent off when you spend $100+. Deal: 25 percent off when you spend $150+. Why it’s worth it: This brand has mastered the art of mineral makeup and natural-looking color cosmetics, making it ideal for achieving the “no-makeup-makeup” look. Deal: $15 off when you spend $75+. Promo Code: Use the code FRIDAY at checkout. Why it’s worth it: New beauty brand, ultra-luxurious packaging — need we say more? Deal: 15 percent off sitewide when you spend $30+. Promo Code: Use the code 15OFF30 at checkout. Deal: 20 percent when you spend $50+. Promo Code: Use the code 20OFF50 at checkout. Deal: 30 percent when you spend $100+. Promo Code: Use the code 30OFF100 at checkout. Why it’s worth it: Don’t miss the brand’s High Coverage Liquid concealer, which happens to be a Spotlyte editor favorite! Deal: Spend $85, recieve a free Kiehl's X Andrew Bannecker Holiday Tote (in store only). Deal: Best of Kiehl's Set: Ultimate Strength Hand Salve, Ultra Facial Cleanser, Ultra Facial Cream, Ultra Facial Overnight Hydrating Mask, Creme de Corps, Rare Earth Deep Pore Cleansing Mask for $39 (usually $66). 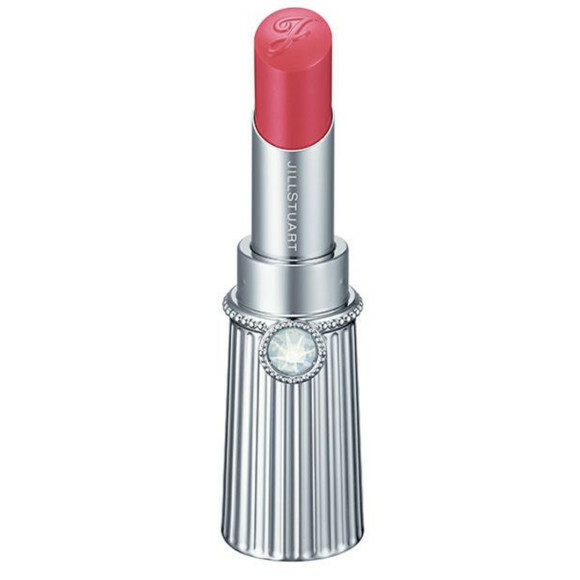 Deal: Limited Edition Butterstick Lip Treatment for $15 (usually $19.50; deal in store only). Deal: Spend $45+, recieve a Limited Edition makeup bag (online only). Deal: Spend $300, get a free Advanced C Radiance Treatment. Promo Code: Use the code BLACKFRIDAY2018 at checkout. Why its worth it: Stock up on the brand's cult classic skincare staples, including sunscreens and micellar water. Deal: Take 35 percent off sitewide. Promo Code: Use the code SALE35 at checkout. Why it's worth it: Don't miss the brand's Vivid Swirl Blush, which comes in numberous flattering hues. Deal: Spend $125+ and receive a free gift with purchase. Promo Code: Use the code BFGIFT at checkout. Why it's worth it: The free gift features four of the brand's hero hair products (two full size, two travel size). 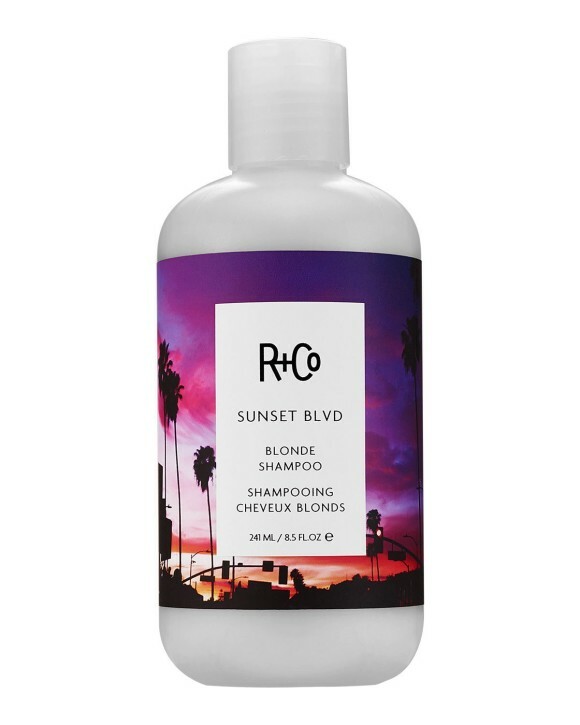 Don't miss the brand's selection of ultra-hydrating, all-natural shampoos, conditioners, and hair masks. Deal: Spend $30+ on the brand's website, receive a free Living Proof Dry Shampoo. Deal: Take 50 percent off Living Proof Full Dry Volume BlastTM at Sephora. Why it's worth it: The Living Proof Dry Shampoo is one of the most highly revered formulas in the space. If you've yet to give it a go, now is the best time to try. Deal: Sign up for the brand's newsletter, take twenty percent off of your order of three or more items. Why it's worth it: This brand offers a range of CBD-infused skincare, from body lotions to tinctures. Deal: Spend $25, get free shipping. Deal: Spend $30, get 15 percent off. Deal: Spend $40, get 20 perfect off. Deal: Spend $50, get 20 percent off. Deal: Spend $100, get 30 percent off. Why it’s worth it: There is no such thing as too many sheet masks. Plus, the more you spend with this deal, the more you save. Promo Code: Use the code BFCM18 at checkout. Why it’s worth it: The brand recently launched a moisturizer infused with prickly pear that’s sure to leave dull, dry skin, glowy and soft. Deal: Take 40 percent off sitewide. Why it’s Worth It: This is the brand’s only sitewide sale of the year — stock up while you can! Why it's worth it: This Budapest-born brand is always worth the splurge. Don't miss the extensive offering of exfoliators and at-home peels, which are sure to leave your skin instantly glowier. Why it’s worth it: Don’t miss the brand’s Skin Dew Coconut Water Cream, which leaves skin looking lit from within. Deal: Buy two full-sized products, take 50 percent off the third. Promo code: Use the code HALFOUAI at checkout. Why it's worth it: Created by celebrity stylist, Jen Atkin, this brand is equal parts chic and effective. Not to mention, the entire collection smells amazing. Deal: 30 percent off sitewide (excludes Peach and Lily branded products). Promo Code: Use the code PEACH2018 at checkout. Why it's worth it: This site is a hub for all of your K-Beauty skincare needs. Plus, there's no such thing as too many sheet masks, right? Promo Code: Use the code HOLIDAY40 at checkout. Why it's worth it: These products are just plain fun, thanks to their quippy names and stylish packaging. Most importantly, they really work. Why it’s Worth It: Take your pick of any of the brand’s clean beauty favorites. We’re partial to its ultra-nourishing body lotions. Why it’s worth it: A good lip scrub can work wonders on chapped, flaky lips. Sara Happ offers a bevy of unique flavors to suit all tastes. Why it's worth it: The sweet, cozy scent of pistacho and caramel makes these ultra-hydrating products all the more addictive. Why it’s Worth It: Clean beauty meets luxury with this cult classic skincare brand. Don’t miss the Resurfacing Mask, which leaves skin instantly glowier. Why it’s worth it: Brow fans will love the brand’s extensives selection of pomades, gels, and highlighters. Why it's worth it: This minimalistic skincare brand focuses on select superfoods to nourish skin and keep it glowing. Don't miss the Superfood Air-Whip Moisture Cream, which features the likes of kale and green tea.